Welcome fall – and cooler temperatures – which will allow you to tackle maybe one of the most important home improvement projects you’ll ever under take. Whether you’re braving it as a DIY or hiring alocal PRO applicator, giving your brick home an updated, yet timeless makeover will add value – and instant curb appeal. Not to mention, it’ll be a shining new canvas for plenty of holiday decorations. The photo shown above belongs to Susan of the popular @KindredVintage blog and Instagram feed. Susan took this photo last fall, shortly after using Romabio Classico Limewash in Bianco White to transform her classic New England home into this iconic limewashed beauty. In a recent post Susan thanked her almost 180,000 followers for all of the love they have shown this one post. 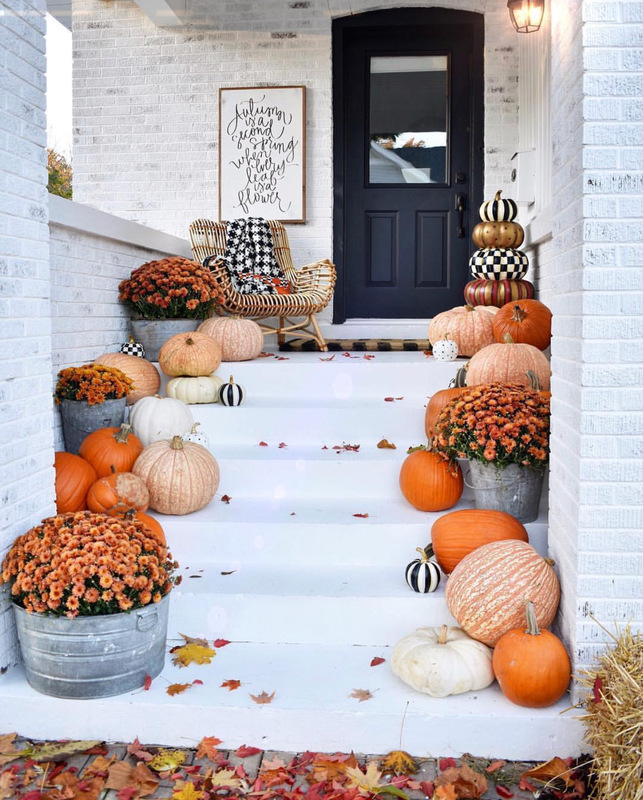 It was even featured in Classic Home Magazine, and shared by Better Homes and Gardens Magazine’s Instagram feed, counting down to cooler temperatures and pumpkin spice lattes. This is also the perfect time to consider limewashing your brick or stone fireplace. For the averaged size fireplace, you’re looking at a couple of hours to a half day commitment at most. Start this weekend, and by Monday morning you’ll be admiring your room’s new focal point. Limewashed fireplaces are holiday showstoppers all on their own. Here are a few of our favorites. Check out our Pinterest account for additional inspiration.